For the past few decades, upto the financial crisis, international trade grew at a rate of around 7% a year, which was almost double the rate of growth of world GDP. Post financial crisis, the trade growth was sluggish, and for the last couple of years it has grown at around 3 percent, lesser than the pace of world GDP growth. In terms of trade to GDP share too, the world trade rose from around 40% of world GDP in the early 90s to peak at around 61% in 2011. It has now fallen to around 60%. This had lead to the theory that the world trade has peaked. Paul Krugman doesn't agree. He says that trade outgrowing GDP is not a natural law and we should neither be amazed nor disturbed if it stops happening. Some other economists chime in saying that it might just be a cyclical phenomenon and not a structural shift. However, there is good amount of evidence that the international trade growth, as we know it, has indeed peaked. And the reasons are structural and not just cyclical. That's a cause for concern for countries like India that are thinking of giving a push to the manufacturing sector, with a significant outward focus. Krugman can afford to the dismissive as his country is the biggest market for the world. We can't. Coming back to peak trade issue, the long term trade elasticity to income has decreased when compared to the 90s. A rise in 1 percent in global income would have lead to around 2.2 percent of increase in world trade in the 90s, but it hardly lead to a growth of 1.3 percent in the 2000s. This has fallen further after the financial crisis, indicating a deep structural shift, in the sense that the responsiveness of income growth to the growth in international trade has somehow derailed from the traditional way it behaved for decades. There might be several reasons for this, but the most plausible one is about the global supply chains getting saturated. Especially the supply chain trade between China and the US, the main drivers of international trade, apart from EU. During the 90s, there was a rapid expansion of global supply chains that took place. China was at the centre of it, including some east asian economies. The parts, components and such intermediates trading across borders rose significantly. There was also the WTO deal that acted as a catalyst in the process. The phenomenon continued for almost couple of decades. This has run its course and now we see that the process has peaked. China has slowly reached a stage where it's domestic contribution has increased significantly and has plateaued. In short, whatever integration had to occur, has occurred, and there is not much scope for further integration, in the existing merchandise trade area. This, is just one of the reasons. Other reasons, that might be contributing are the compositional shift in the share of world trade that is slowly shifting towards services, such as software and information technology. Also, there are theories that countries have erected non tariff barriers and other protectionist measures after financial crisis. However, to me, the theory of global chain saturation tops the list, for the simple reason that it appears to explain the general observation better. For those interested further on peak trade topic, this IMF paper discusses the Peak Trade issue in detail. It is in this context that we need to strategise carefully about "Make in India" initiative. There is no doubt that we need to launch such an initiative to give a fillip to our manufacturing sector. And also to focus attention on the bottlenecks that hold back India's manufacturing potential. However, if we are thinking of making one more China out of India, it is time to think as to where all the demand for our made in India stuff would come from. The RBI governor probably had this in mind, when he spoke about an inward looking manufacturing policy. However, all is not bleak even if we decide to force an export led manufacturing growth story. Probably, the new deals at WTO, specifically the trade facilitation agreement concluded recently and the future IT agreement might give a boost to the international trade, leading to some gains. Also, EU might recover eventually. Some more areas for trade, such as farm and services might open up further. And so on. However, to hinge the hopes on international developments is risky. And that's reason enough to focus on what can be done in the existing situation where the international trade has supposedly peaked. I believe that Make in India campaign should focus on few things when it comes specifically to international trade, to start with. (notwithstanding other never ending suggestions on improvements in other areas such as labour productivity, capital, land, credit and so on which are general in nature). One, to see if we can integrate better with the existing global value chain setup. For example, we are non existent in electronic hardware supply chain, one of the biggest areas that we lost out due to poor policy making. Two, our ports and supportive infrastructure are shoddy, cutting us out of world markets as ships avoid calling directly, leading to transhipments through Singapore, Dubai and even Colombo. Third, the paperwork and bureaucratic procedures related to international trade in our country is cumbersome and frustrating. Any effort to send our manufactured products in international markets should focus on the above issues. I didn't mention quality of our products as there is an automatic market mechanism in place to punish bad quality products and Govt can hardly do much about it anyway. So the effort should focus on policies to catch low hanging fruits of global value chains like hardware manufacturing, improving infrastructure for international trade, and easing trade procedures. This would ensure a better integration in the existing setup, and keep us ready when, and if, the world gets ready for another peak trade in future. Jonathan Burrows was a managing director at Blackrock, a giant asset management firm. Though he earned a million pounds salary, he avoided paying around 14 pounds of rail fare for daily commute in London, and instead chose to dodge ticket barriers. His total fare avoidance added to around 43000 pounds over five years. He was caught one day. He not only lost his employment, but was also banned from the financial industry altogether by the regulator in UK, viz. the Financial Conduct Authority. You can read details on the specific event here. There was no direct link between how Jonathan behaved in the office (his record in office was impeccably clean), to his fare avoidance behaviour outside it. However, Jonathan committed the dodge knowing well that it was unlawful to do so. And that is what the FCA was not happy about. In a terse statement FCA said, "Jonathan's actions fell short of standards we expect in the financial industry." Jonathan handled public investments and his integrity of character was not beyond doubt, prompting the ban by the regulator. In positions that handle public affairs in the government, the official chosen should muster a pass in the test of integrity of character. Unfortunately in India, neither the current method of selection at UPSC, nor the subsequent annual appraisal reports of the officers check this aspect. UPSC doesn't do any kind of psychometric tests while selecting the candidates, and instead relies on rote learning and mastery of obsolete theories, which might not have any relevance in assessment of character or the functions in day to day activities of public officials. Once in the govt job, the integrity column in the annual appraisals of officers are usually filled will mumbo-jumbos such as "Nothing adverse has come to my notice." Also, the vigilance actions and departmental enquiries leave a lot to be desired as they can be misused to harass an honest officer. In the absence of any guidance in the matter, it becomes difficult to weed out people with loose morals from reaching top levels in the administration. Any level of competence cannot justify a lack of integrity of character. A society that accepts this without protest will suffer longer than usual. The new Foreign Trade Policy (FTP) of India will be released anytime soon. 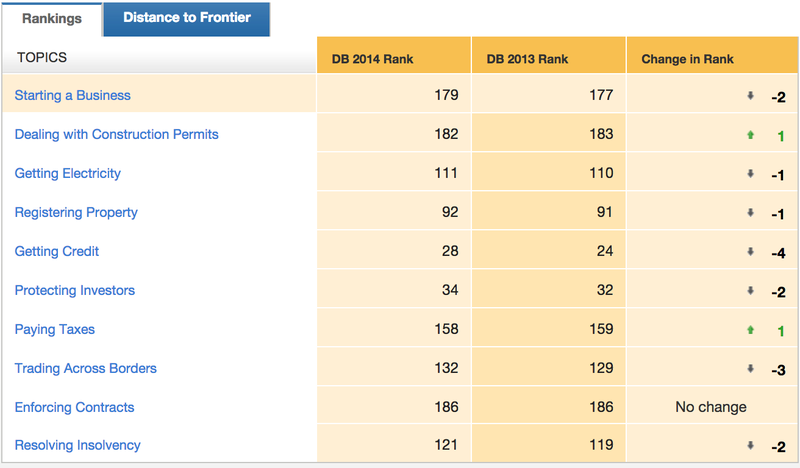 India's FTP is quinquennial in nature. It undergoes major revision every fifth year. The last one was the FTP 2009-14. The new one will be for the period 2014-19. Every year, a small supplement to the FTP is released after the union budget, by the commerce ministry, in order to accommodate incremental need for adjustments. I hear that this time the FTP will contain two parts. The first part will contain more of a policy intent and direction and would detail India's approach towards various international trade related issues including FTAs, SEZs, service sector, branding and so on. The second part would contain the policy instruments, such as incentive schemes. All these years, the second part alone was called foreign trade policy. There was no first part detailing the direction and approach. That's what I hear. And if so, it's welcome news. However, what's also interesting is that there is hardly any news in the mainstream about what's the current status on FTP release. One has been hearing for the last three months that the FTP is in the making and will be released soon. This kind of closed door approach, I thought, belonged to the last century. Especially after the father of five year plans, the planning commission got an unceremonious burial recently. I was wrong. The FTP makers at commerce ministry still vouch for this style. So be it. Ideally, the instruments of export promotion and the FTP should be two different entities. FTP need not articulate in detail about what instruments to use for trade/export promotion. The FTP document should be broad based, giving general directions and should be perpetual in nature. Any revision should be based on major directional change in the way the government thinks about international trade. Instruments for export promotion are a function of budgetary allocations and taxation structure. Budgetary allocations determine as to how much can be spent on various export promotion schemes and on assistance to states and councils towards increasing export potential. The taxation structure determines the refund and exemption schemes to nullify export of taxes and to ensure level playing field for domestic manufacturers. Such instruments of export promotion can be revised year on year and need not be constant. All these years, we called these instruments as the foreign trade policy, which actually is misleading. I hope this time it is corrected. There are two more things I hope the FTP finally takes care of. First is 'not' to keep a target of 'x' billion dollars of exports in 'n'th year. Like the last FTP in 2009 had set a target of 500 Billion USD of exports by 2014. This is ludicrous as we finally saw that we reached around 300 Billion USD due to global slowdown. You can have a system of improving export performance, but the actual figure that finally gets exported, is a function of global demand conditions and various other factors. As long as the system is working fine, and helps improve exporting environment, there is no need to worry about the numbers. Second, there is an urgent need to setup some kind of evaluation mechanism for the instruments we use for export promotion. I hope the FTP creates such evaluation mechanisms which can then be fed back into the policy making. Currently it's an open loop policy making for promotion instruments, with some occasional feedback coming from the so called experience that relies on word of mouth and grey hair. The export promotion councils (around three dozen of them) who should ideally do the feedback and evaluation work, have turned into poor jokes and waste of money. The agency that majorly implements the instruments (DGFT) is understaffed and demotivated to see beyond the files and paperwork. There is no number crunching on the effectiveness of the schemes. It's a challenging task to set up such evaluation systems, but we need to develop in this area if the instruments are to indeed becomes vehicles for export promotion. It's not a matter of choice if we are serious. Finally, I hear that someone in commerce ministry has come up with a bright idea of launching an 'export import app' for FTP which will help navigate the policy book and also to file applications. Unfortunately, the current system developed by NIC that interfaces the DGFT with the exporting community is found wanting on many counts. The emphasis should be to get the basics right before getting into smartphone apps and such. However, an app makes for a nice PR exercise when the policy is launched. It sounds modern. I hope the noise is accompanied with substance in the new policy. I am positive. Fingers crossed. India declined to sign the Trade facilitation agreement (TFA) on the ground that there has been no progress on the issue of public stockholding for food security purposes. TFA would facilitate trade by adopting better and common customs procedures for trade facilitation. This would ease the hassles in cross border movement of goods. India needs easing of customs procedures given that we rank 132nd in ease of trading across borders as per world bank's doing business report. The official explanation given to the parliament by the Commerce minister on the stand taken by India, is here. It's an interesting read as it appears that we stood on behalf of developing countries, which includes the least developed countries, the so called LDCs, and all the poor of the world. That would mean that we must have been supported by them at the WTO. I checked up. It was not so. We had three supporters on this matter. Cuba, Venezuela and Bolivia. And if a country is known by the company it keeps, I think there is some trouble here. No LDC or any developing country supported us. Apparently there was some tacit support, but it never came out in open. What came out in open was an attempt to leave India alone and push ahead with the deal, and other attempts to try out the TFA at plurilateral level with most of the countries, minus India and the Castro bastions. Let me make few things clear. One, I support the stand we took, for reasons I shall explain. Two, I don't subscribe to the nationalistic tone, bordering on jingoism, attached to this defiant stand by the Indian media. The media was initially skeptical for days while the deal hung in balance, and then, as if on a cue, went on an overdrive to defend our side when the deal fell through. The tone was simple, Modiji has saved millions of poor farmers with this one stroke. How? That was to be answered some other day. People gave theories of whatever suited them, including ridiculous reasons such as TFA would lead to increase in current account deficit, a comma usage being blamed on deal falling through, and so on (link here, here). The media lapped up anything remotely positive said about India on the matter, by any agency/expert from abroad. If you know you are right, why look at endorsements? My support stands on following grounds. Bali package had four major components. They were TFA, Agriculture (including food security), Cotton and Development/LDC issues. It was a package. So all points needed to be arrived at simultaneously. Or at the least, a roadmap should be ready before one of them is finalized and signed off. TFA was ready, agricultural issues were not, and India has a problem with that. Fair enough. Agricultural issues will always be difficult to negotiate. To expect them to be completed along with something simpler like trade facilitation is not correct. What India was dismayed with, was that there was no progress at all on agri and food security issues, whereas people were jumping over each other to pass through the TFA. It concerned India as India has landed up in a tricky situation after the National Food security Act of last government, which mandates huge subsidy expenditure on food in future. WTO limits such expenditure and India can be brought to dispute panel ending up with penalties. This is worrisome. The Bali package had agreed to give a window of 4 years, a kind of amnesty, for negotiations on the matter. So India started looking at TFA as more of a bargaining chip than as a facilitative multilateral agreement. That's a very insecure way of looking at things, but going by the past experience, India has good reasons to be skeptical. The exploitative IP agreement is a case in the point. Agricultural subsidies is a sensitive subject. There are many contentious issues when it comes to food security, right from fixing of magnitude of food subsidy, correcting the base year for consideration of subsidies, the nature of such subsidies and the methods and so on. The negotiations will take time, and might eventually never materialize. And so it makes sense to use TFA as a bargaining chip. So on the basis of above points, I would say that though India needs TFA as much as any other country, to boost its trade, we can afford to hold it without substantial loss till our concerns are addressed. Food security is an important issue in India as we still have a substantial population of poor, who are dependent on subsidized food. India has a ridiculously inefficient food procurement and distribution system. That needs to be urgently fixed. Only then we will have a fair idea on the working of food subsidy and the methods of implementing food subsidy programs. The sense of timing was never this urgent but I hardly see much movement in this area at domestic level. First, if TFA falls through at WTO, the momentum generated at Bali will be lost and WTO will slowly start its decline into oblivion, which will be sad. US/EU and other nations are already building the world trade rules, the way they want it, through trans-pacific and trans-atlantic arrangements. India will not be part of them. And if and when we wish to join such new arrangements, we will be made to sign the dotted line. That's doomsday scenario, but can be a situation if WTO withers away. Second, there might be some middle ground that might be broken in coming months, with some assurance to India about a roadmap regarding food security negotiations, and TFA might be signed. There are already such talks around this idea. Third, there might be some kind of plurilateral arrangement involving most of the nations except few like India. This would again feedback into the first situation, with similar outcomes. The regional arrangements will grow stronger. Anyway, TFA or no TFA, we need to align to easier customs procedures and improve from the 132nd rank in trading across borders if we are to become a serious global player in trade. We also need to fix what's wrong in our system when it comes to food security. It can't work with the existing way of doing things. Otherwise, we will continue punching above our weight at multilateral bodies, and someday, someone will call the bluff. That would end the game. Raw sugar is brownish in colour due to presence of molasses, considered an impurity in this case, and tastes almost like white sugar, except for a weird, but not unpleasant, aftertaste. It's crunchier too, which makes it a great topping on some bakery products. Also, its considered healthier than the white sugar as the refining process uses more than 50 different chemicals to make the sugar white. That's a myth. Raw brown sugar is as unhealthy (or as healthy) as white sugar as there's enough chemical processing on cane juice to obtain the raw brownish sugar. Anyway, the option of using brown sugar is not easily available in India as we usually get only white sugar in the market. The baking variety brown sugar is quite costly. I have seen it at reasonable prices in US supermarkets though, probably indicating the health revolution that lead to the switch of customers' tastes from white to brown. Raw sugar is produced in most of the sugar mills across India and they are supplied to sugar refineries to convert into white sugar. Many sugar mills also have sugar refineries and some of them are integrated plants where activities from cane crushing to final white sugar is done in one single plant. The mills are mostly concentrated in North Karnataka, Maharashtra and some parts of UP. Some refining mills, such as Renuka Sugars - the leading sugar manufacturers in India, also import raw sugar from countries like Brazil and refine them here for exports. Sugar was tightly controlled commodity in India due to its linkage with farmers at the backend and the consumers at the front end, both sensitive to the price of sugar, but in opposite directions. There is a directorate for sugar under Ministry of consumer affairs, food and public distribution, which is responsible for controlling sugar related matters. Every step of sugar value chain was tightly controlled till last year, right from production to consumption and international trade. The mills are given licenses to operate, and are given captive areas for cane procurement from farmers. The farmers must give the sugar only to the marked mill of their area and not to any other mill. The govt. fixes the price to be given to the farmers. The mill licenses are not easy to come by due to byzantine laws, and most of the mills are owned by local politicians or highly influential people of the area. The sugar mills had to mandatorily surrender 10% of the sugar produced to the government at almost half the market rates, as fixed by govt. for public distribution purposes. The rest 90% of sugar couldn't be sold in open market. The govt. used to, till last year April, issue 'release orders' on a monthly or quarterly basis to each mill for supply of sugar to market. This was to keep prices under check in domestic market. Also, depending on available quantity of sugar in the mills, the domestic demand projections, and world market prices, the govt. regulates the exports/imports. Trading is tightly monitored and controlled though licenses. Such off/on policies on international trade of sugar from India adds to uncertainty in this sector. The control even extends to the byproducts of the mill such as bagasse, molasses etc. The world price of raw sugar is around 35 to 40 US cents per kg in the last few months. The sugar industry was partly decontrolled last year and 10% levy was removed. Also, the release order mechanism was eased. Now the Govt lifts the sugar from the market and bears the subsidy burden on public distribution system of sugar directly. The Rangarajan committee's report in this regard was the guiding light for these partial reforms. It is in this background that we need to see the recent incentive announced by the Govt. 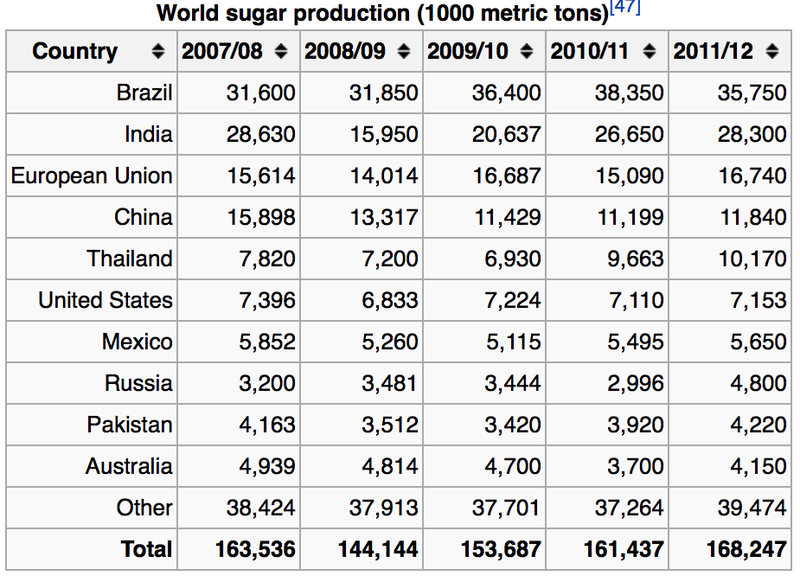 of India on exports of raw sugar from India. The incentive circular is here. The notification allows an incentive of Rs 3300/metric tonne of raw sugar exported, directly or indirectly, from India. That works out around 10% of international price of raw sugar. This incentive has been opposed at WTO by Australia, Columbia, Brazil, EU and others. The WTO link for this issue can be found here. The objections are primarily due to subsidising nature of this export incentive. India had agreed not to subsidise exports as per WTO rules. In reply to the objection, India has stated that this policy intends to diversify India's sugar exports from white to raw and as of now, no payments has yet been made. The dispute is on, and so is the incentive scheme. "The incentive due to a sugar factory shall be utilized for making payment to the farmers...The amount shall be utilized by the factory to make payment of cane dues of the farmers within three months of receipt of the incentive amount and a utilization certificate to this effect shall be submitted within one month of the receipt..."
This is understandable. The measure is temporary, as seen from the document, and is not perpetually export subsidizing. Given this, and the fact that such stop-gap incentives will lose favour once elections are over, it would not be very difficult to deal at WTO. By the time the battle lines are drawn at WTO, the incentive in question might have ceased to exist. However, the pain points remain, such as the payment to farmers not reaching on time due to myriad controls and regulations, the still existing restrictions on sugar industry and the uncertainty arising due to socialist style departments going about implementing control ideas on this commodity. Hope the elections bring more than just a windfall of one time payments. PPS: Special thanks to Shri K M Harilal, Dy Director General of Foreign Trade, for pointing out decontrol of sugar industry which I had missed in the post. Export promotion subsidies and incentives - Justified? I have not come across any quantitative study which does a proper analysis to show that export subsidies, in general, and export-credit subsidies and export-credit insurance, in particular, are a part of the least-cost package for achieving a certain level of export expansion or diversification. Most authors, who are enthusiastic about these subsidies, go only so far as to argue that when combined with other export-friendly policies, these subsidies can be an effective means of export expansion. This is a rather weak claim since any failures can be blamed on the absence of complementary policies while successes may be the result of other sound policies. Moreover, even when export expansion is helped by the subsidies, as is likely if one believes in supply response, it is necessary to know what their cost is. The above holds true about incentives and subsidies given in any repackaged form. India's foreign trade policy is providing such subsidies in the name of offsetting infrastructural inefficiencies, increasing market presence (Focus market schemes) or to boost employment in small scale sector (Focus product schemes), promoting agricultural exports(VKGUY) and so on. Apart from these, various other schemes are run by different export promotion councils, under Ministry of Commerce, in the name of Market Access Initiatives and Market Development Assistance. Also, interest subvention schemes are run by the banks under RBI mandate. The amount spent on these schemes adds up to around Rs 3000 crore (USD 500 million approx). Source here. One of the major reasons why there are not many quantitative studies in this area (across the world) is the difficulty in isolating the effect of the export subsidies on export performance. One interesting classic study in this area was conducted by Julio Nogues in 1989 titled "Latin America's experience with export subsidies" which surveyed the Latin American countries. Nogues study indicates the poor returns out of export promotion schemes. Among the countries, the effect in Brazil and Mexico has been somewhat positive, but Brazil's advantage was countervailed by the US, significantly increasing the cost when compared with Mexico. Even for Mexico, there remains a question mark on the absolute returns of such schemes. In case of Argentina, these schemes lead to rent seeking behavior, bribery and corruption. Nogues doesn't deny the effect of such schemes outright, but cautiously adds the effects of supporting enablers such as infrastructure and policy regimes. It is in this light that a recent study conducted by the World Bank in Tunisia, titled "Are the benefits of export support durable" gathers importance. The study can be accessed here. The study is interesting because it tries to isolate the effect of export assistance given, under a program named FAMEX in Tunisia, to different sized firms over a period of time. FAMEX grants were used mostly to co-finance the cost of technical assistance and marketing services provided by local and foreign experts. Five types of activities were financed: (i) market prospection, (ii) promotion, (iii) product development, (iv) firm development, and (v) foreign subsidiary creation. The above study raises interesting conjectures. In my experience, I have observed that most of the export promotion schemes run in India are actually benefiting the existing, established exporting firms and not the new, breakaway firms that are looking to grow in international trade. I also occasionally come across small exporters who have narrated experiences where financial incentives are factored in costing and help them undercut competition, thus helping them at international markets. Such cases need to be studied closely to find out the exact category of exporters (and the product groups). This is the job of export promotion councils. Unfortunately, the multiple export promotion councils in India have ended up as lobby groups of leading exporters. DGFT, the apex govt. body for trade policy making and promotion, has now started a program under a scheme called 'Niryat Bandhu' to train/enlighten new firms about these schemes, and handhold them during their initial breakaway period. Niryat Bandhu scheme sounds a lot like the FAMEX, if executed well. That leads us to the half a billion dollar question, literally. Is the spending for such schemes, as they exist today in India, justified? I hope the makers of the next five year trade policy, which plans to roll out after elections, are pondering over this point.